EIN online application made easy, how to apply for EIN online in just minutes! 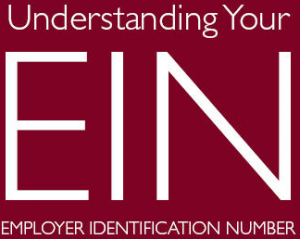 Learning how to apply for EIN doesn’t have to be time consuming or expensive you just require a little insight on exactly what an EIN is, how to file and what prerequisite documents your specific type of Employer Identification Number is required. You can apply for your EIN Number online here, articles of incorporation filing assistance offered as well. EIN, Tax ID, TIN, TIN Number and Employer ID all have one thing in common, they’re simply nicknames for an Employer Identification Numbers. An EIN is basically a Social Security Number for your business or you as a sole proprietor which is required to legally sell products and/or services in the USA. Here we’ll show you how to file yourself or process your confirmed data automatically onto an SS-4 Form, SS4’s are the governments filing name for the document application needed when you apply for EIN by mail or need to fax in the form itself. When filing for an EIN you first need to know what type of employer identification number filing to select on your SS-4 when choosing the role or business owner or type of the EIN. For example you can file them to obtain a tax ID number for an LLC limited liability company or a sole proprietorship as well as corporations or trusts. When starting an LLC limited liability company in the USA for example you’re also required by banks to have a matching LLC labelled EIN number for that LLC’s matching articles of incorporation documents. If you do not have matching documents the banks often times will not allow you to open a bank account and performing business without this is also illegal in the USA. As online sales laws change the requires from EIN’s changes with service and product sites alike needing to meet different stipulations in different cities. Some services offer assistance selecting your formation type and article of incorporation filing assistance as well. We would suggest looking into assisted form data verification and processing services when you apply for an EIN to confirm that you’re filing accurately so that you won’t need to refile due to inaccurate or incomplete data.